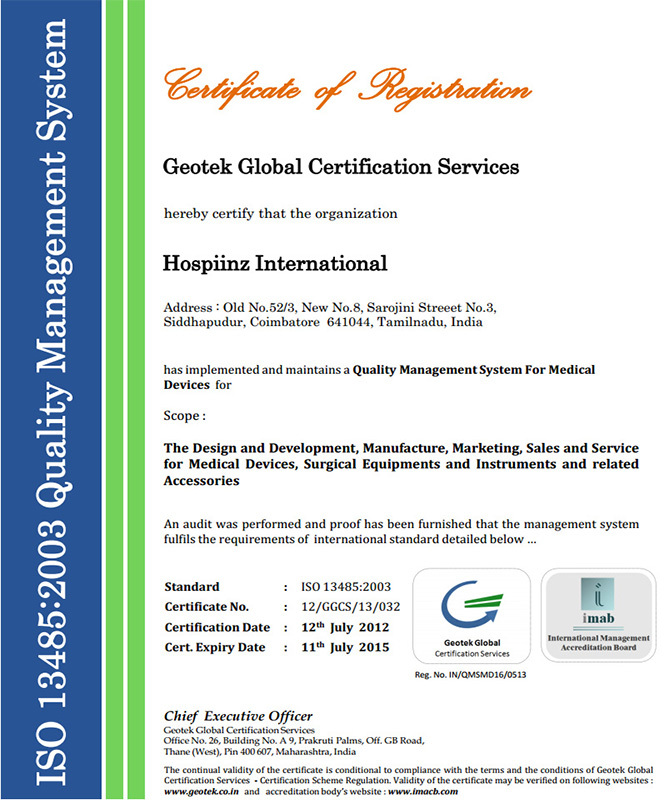 we,Hospiinz International is a ISO 9001-2008 and ISO 13485-2003 Company are reputed manufacturers and exporters of comprehensive medical instruments that are appreciated for work efficiency, precision engineering and addition of detailed features. 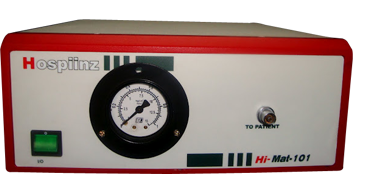 The Hysteroscopy pump and hysteroscopy equipment that we design and manufacture finds application in hospital, healthcare units and medical colleges. Our range has an appreciative clientele in domestic and export markets particularly that of U.S.A, UK, Europe, Emirates, Asian countries. With research and development and stringent quality control we maintain the supremacy of our hysteroscopy product range in unparalleled quality bracket. We design and manufacture a very efficient range of Hysteroscopy Pumps that has progressively taken center stage in operating theaters and clinic practice for gynecological Hysteroscopy diagnostic and therapeutic procedure. It is the safest and used in hospitals and private gynecology practices in recent years. The performance of our hysteroscopy pumps has become the first choice of gynecologist for therapeutic interventions This Oil less diaphragm pump is a self-regulating pump for Irrigation. It has auto cut off for high pressure. The hysteroscopy pump is easy to use and has lock system for tube. We are supported by an advanced manufacturing facility that leverages on uninterrupted R&D activities and most rigorous quality control methods. Among our hysteroscopy pumps and hysteroscopy equipment there is not the slightest deviation from set industry standards. With research and development we continuously upgrade our product features to meet the demanding requirements of the medical fraternity. we have been able to manufacture our range in strict tandem with the set industry standards. We are backed by our committed and experienced team of professionals that allow us to meet the requirements of hospitals, clinic and other medical establishments. 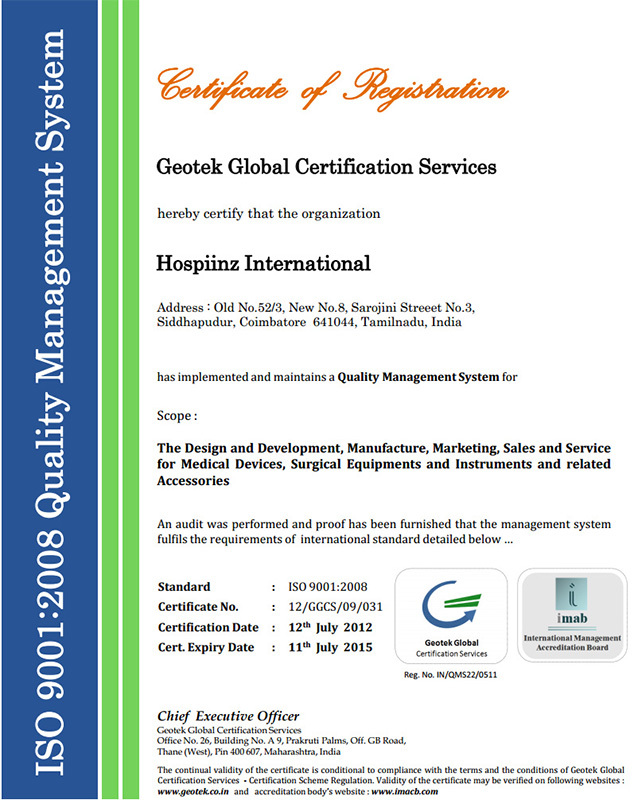 With product quality and consumer friendly approach we have created a niche in the domestic and overseas markets. The high quality features, product availability and constant innovation of product features have created trust and dependability in the industry. As a manufacturer of unsurpassed quality hysteroscopy product range we are certified with ISO 9001-2008 and ISO 13485-2003 certification. We pursue quality parameters of most fool proof nature in the manufacturing process of hysteroscopy pumps and equipment. We adhere to strict industry regulations, as a result of which our hysteroscopy equipment range is safe and sterile for the most critical of surgeries. The excellent quality commands trust and respect among medical fraternity in domestic and overseas markets.